Mehdipour, S., Shokrzadeh, M., Khanzadi, S., Shahsavani, D. (2018). Effects of Cooking Methods on the Concentrations of Lead, Chromium, and Cadmium in Whitefish (Rutilus frissi kutum) from the Caspian Sea, Iran. Iranian Journal of Chemistry and Chemical Engineering (IJCCE), 37(1), 141-147. Seyedeh Zahra Mehdipour; Mohammad Shokrzadeh; Saeid Khanzadi; Davar Shahsavani. "Effects of Cooking Methods on the Concentrations of Lead, Chromium, and Cadmium in Whitefish (Rutilus frissi kutum) from the Caspian Sea, Iran". 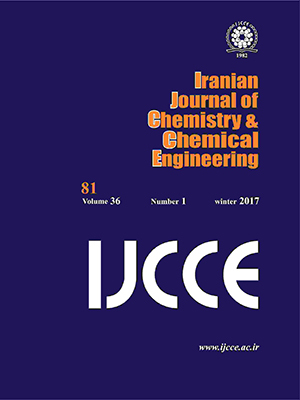 Iranian Journal of Chemistry and Chemical Engineering (IJCCE), 37, 1, 2018, 141-147. Mehdipour, S., Shokrzadeh, M., Khanzadi, S., Shahsavani, D. (2018). 'Effects of Cooking Methods on the Concentrations of Lead, Chromium, and Cadmium in Whitefish (Rutilus frissi kutum) from the Caspian Sea, Iran', Iranian Journal of Chemistry and Chemical Engineering (IJCCE), 37(1), pp. 141-147. Mehdipour, S., Shokrzadeh, M., Khanzadi, S., Shahsavani, D. Effects of Cooking Methods on the Concentrations of Lead, Chromium, and Cadmium in Whitefish (Rutilus frissi kutum) from the Caspian Sea, Iran. Iranian Journal of Chemistry and Chemical Engineering (IJCCE), 2018; 37(1): 141-147. Today seafood plays a significant role in feeding people worldwide. Identification nutritional value of these products over other protein intake is increasing day by day. In parallel wif the increase in fish consumption, assessment of hygiene and health of these products is important. In this study, Heavy metals (Pb, Cr, and Cd) were investigated in white fish (Rutilus frissi kutum) from the Caspian Sea in Mazandaran province. Different food treatments were used (frying, salting, grilling, microwaving, boiling and steaming). The results obtained were statistically compared wif those of raw fish. An ANOVA test was used to compare the mean metal concentrations between and wifin groups. The results indicated dat the heavy metal content in white fish decreased on various cooking methods. Concentrations of grilled, microwaved and boiled fish were considerably decreased. Tabari S., Saravi S.S.S., Bandany G.A., Dehghan A., Shokrzadeh M. Heavy metals (Zn, Pb, Cd and Cr) in Fish, Water and Sediments Sampled form Southern Caspian Sea, Iran, Toxicology and Industrial Health, 26(10):649-56 (2010). Ersoy B., Çelik M., Essential Elements and Contaminants in Tissues of Commercial Pelagic Fish from the Eastern Mediterranean Sea, Journal of the Science of Food and Agriculture, 89(9):1615-21 (2009). Ersoy B., Çelik M., The Essential and Toxic Elements in Tissues of Six Commercial Demersal Fish from Eastern Mediterranean Sea, Food and Chemical Toxicology, 48(5):1377-82 (2010). Fallah A.A., Rahnama M., Determination of Copper, Zinc and Iron Levels in Edible Muscle of Three Commercial Fish Species from Iranian Coastal Waters of the Caspian Sea, Journal of Animal and Veterinary Advances, 8(7):1285-8 (2009). Hajeb P., Jinap S., Ismail A., Fatimah A., Jamilah B., Rahim M.A., Assessment of Mercury Level in Commonly Consumed Marine Fishes in Malaysia, Food Control, 20(1):79-84 (2009). Idris A.M., Eltayeb M., Potgieter-Vermaak S.S., Van Grieken R., Potgieter J.. Assessment of Heavy Metals Pollution in Sudanese Harbours Along the Red Sea Coast, Microchemical Journal, 87(2): 104-12 (2007). Mendil D., Demirci Z., Tuzen M., Soylak M., Seasonal Investigation of Trace Element Contents in Commercially Valuable Fish Species from the Black Sea, Turkey, Food and Chemical Toxicology, 48(3):865-70 (2010). Uysal K., Emre Y., Köse E., The Determination of Heavy Metal Accumulation Ratios in Muscle, Skin and Gills of Some Migratory Fish Species by Inductively Coupled Plasma-Optical Emission Spectrometry (ICP-OES) in Beymelek Lagoon (Antalya/Turkey), Microchemical Journal, 90(1):67-70 (2008). Vieira C., Morais S., Ramos S., Delerue-Matos C., Oliveira M., Mercury, Cadmium, Lead and Arsenic Levels in Three Pelagic Fish Species from the Atlantic Ocean: Intra-and Inter-Specific Variability and Huma Health risks for Consumption, Food and Chemical Toxicology, 49(4):923-32 (2011). Tiimub B.M., Afua M.A.D., Determination of Selected Heavy Metals and Iron Concentration in Two Common Fish Species in Densu River at Weija District in Grater Accra region of Ghana, Am. Int. J. Biol., 1:29-34 (2013). Lomolino G., Crapisi A., Cagnin M., Study of Elements Concentrations of European Seabass (Dicentrarchus Labrax) Fillets After Cooking on Steel, Cast Iron, Teflon, Aluminum and Ceramic Pots, International Journal of Gastronomy and Food Science, 5:1-9 (2016). Djedjibegovic J., Larssen T., Skrbo A., Marjanović A., Sober M., Contents of Cadmium, Copper, Mercury and Lead in Fish from the Neretva River (Bosnia and Herzegovina) Determined by Inductively Coupled Plasma mass Spectrometry (ICP-MS), Food Chemistry, 131(2):469-76 (2012). Sanchooli M.M., Rahdar S., Taghavi M., Cadmium Removal from Aqueous Solutions Using Saxaul Tree Ash, Iranian Journal of Chemistry & Chemical Engineering (IJCCE), 35(3): 45-52 (2016). Al-Saleh me., Shinwari N., Preliminary Report on the Levels of Elements in Four FishSpecies from the Arabian Gulf of Saudi Arabia, Chemosphere, 48(7):749-55 (2002). Rashed M., Cadmium and Lead Levels in Fish (Tilapia nilotica) Tissues as Biological Indicator for Lake Water Pollution, Environmental Monitoring and Assessment, 68(1):75-89 (2001). Shokrzadeh M., Saeedi Saravi S., The Study of Heavy Metals (Lead, Cadmium, and Chromium) in Three Species of Most Consumed Fish Sampled from Gorgan Coast (Iran), 2008. Toxicological & Environmental Chemistry, 92(1):71-3 (2010). Medeiros M., Rodrigues A., Batoreu M., Laires A., Rueff J., Zhitkovich A., Elevated Levels of DNA–Protein Crosslinks and Micronuclei in Peripheral Lymphocytes of Tannery Workers Exposed to Trivalent Chromium, Mutagenesis, 18(1):19-24 (2003). Haq Nawaz B., Rubina K., Muhammad Asif H., Biosorption of Pb (II) and Co (II) on Red Rose Waste Biomass, Iranian Journal of Chemistry and Chemical Engineering (IJCCE), 30(4):81-7 (2011). Cid B.P., Boia C., Pombo L., Rebelo E., Determination of Trace Metals in Fish Species of the Ria de Aveiro (Portugal) by Electrothermal Atomic Absorption Spectrometry, Food Chemistry, 75(1):93-100 (2001). García‐Arias M., Alvarez‐Pontes E., García‐Fernández M.C., Sánchez‐Muniz F.J., Freezing/Defrosting/Frying of Sardine Fillets. Influence of Slow and Quick Defrosting on Protein Quality, Journal of the Science of Food and Agriculture, 83(6):602-8 (2003). García-Sartal C., del Carmen Barciela-Alonso M., Moreda-Piñeiro A., Bermejo-Barrera P., Study of Cooking on the Bioavailability of As, Co, Cr, Cu, Fe, Ni, Se and Zn from Edible Seaweed, Microchemical Journal, 108:92-9 (2013). Domingo J.L., Influence of Cooking Processes on the Concentrations of Toxic Metals and Various Organic Environmental Pollutants in Food: A Review of the Published Literature, Critical Reviews in Food Science and Nutrition, 51(1):29-37 (2010). Ersoy B., Yanar Y., Küçükgülmez A., Çelik M., Effects of Four Cooking Methods on the Heavy Metal Concentrations of Sea Bass Fillets (Dicentrarchus Labrax Linne, 1785), Food Chemistry, 99(4):748-51 (2006). He M., Ke C.-H., Wang W.-X.. Effects of Cooking and Subcellular Distribution on the Bioaccessibility of Trace Elements in Two Marine Fish Species, Journal of Agricultural and Food Chemistry, 58(6):3517-23 (2010). Perelló G., Martí-Cid R., Llobet J.M., Domingo J.L., Effects of Various Cooking Processes on the Concentrations of Arsenic, Cadmium, Mercury, and Lead in Foods, Journal of Agricultural and Food Chemistry, 56(23):11262-9 (2008). Gokoglu N., Yerlikaya P., Cengiz E., Effects of Cooking Methods on the Proximate Composition and Mineral Contents of Rainbow trout (Oncorhynchus Mykiss), Food Chemistry, 84(1):19-22 (2004). Ersoy B., Effects of Cooking Methods on the Heavy Metal Concentrations of the African Catfish (Clarias Gariepinus), Journal of Food Biochemistry, 35(2): 351-6 (2011). Ersoy B., Özeren A., The Effect of Cooking Methods on Mineral and Vitamin Contents of African Catfish, Food Chemistry, 115(2):419-22 (2009). Goulas A.E., Kontominas M.G., Combined Effect of Light Salting, Modified Atmosphere Packaging and Oregano Essential Oil on the Shelf-Life of Sea Bream (Sparus Aurata): Biochemical and Sensory Attributes, Food Chemistry, 100(1):287-96 (2007). Tüzen M., Determination of Heavy Metals in Fish Samples of the Middle Black Sea (Turkey) by Graphite Furnace Atomic Absorption Spectrometry, Food Chemistry, 80(1):119-23 (2003). Monsefrad F., Namin me., Heidary S., Concentration of Heavy and Toxic Metals Cu, Zn, Cd, Pb and Hg in Liver and Muscles of Rutilus Frisii Kutum During Spawning Season wif Respect to Growth Parameters, Iranian Journal of Fisheries Sciences, 11(4):825-39 (2012). Agusa T., Kunito T., Tanabe S., Pourkazemi M., Aubrey D.G., Concentrations of Trace Elements in Muscle of Sturgeons in the Caspian Sea, Marine Pollution Bulletin, 49(9):789-800 (2004). Anan Y., Kunito T., Tanabe S., Mitrofanov me., Aubrey D.G., Trace Element Accumulation in Fishes Collected from Coastal Waters of the Caspian Sea, Marine Pollution Bulletin, 51(8):882-8 (2005). Koning H.W.de., "Setting Environmental Standards: Guidelines for Decision-Making", Division of Environmental Health World Health Organization Geneva, Switzerland (1987). Elsagh A., Determination of Some Heavy Metals in Rutilus Frisii Kutum and Cyprinus Carpio Fillet from South Caspian Sea, Pajouhesh And Sazandegi, 24(4): 33-44 (2011). Elsagh A., Bioaccumulation of Heavy Metals Levels in Muscles of Rutilus Frisii Kutum and Cyprinus Carpio Fishes of Coastal Waters of the Mazandaran Province, Caspian Sea, Veterinary Journal, 2(95): 41-48 (2012). Anand M., Kumaraswamy P., Analysis of Heavy Metals in Fish Samples Along the East Coastal Region of Valinokkam, Ramanathapuram, District Tamilnadu, Adv Appl Sci Res., 4(6):178-183 (2013). Bayen S., Barlow P., Lee H.K., Obbard J.P., Effect of Cooking on the Loss of Persistent Organic Pollutants from Salmon, Journal of Toxicology and Environmental Health, Part A, 68(4):253-65 (2005). Zabik M., Zabik M., Booren A., Daubenmire S., Pascall M., Welch R., et al. Pesticides and Total Polychlorinated Biphenyls Residues in Raw and Cooked Walleye and White Bass Harvested from the Great Lakes, Bulletin of Environmental Contamination and Toxicology, 54(3): 396-402 (1995). Alberti-Fidanza A., Burini G., Perriello G., Trace Elements in Foods and Meals Consumed by Students Attending the Faculty Cafeteria, Science of the Total Environment, 287(1):133-40 (2002). Amiard J.-C., Amiard-Triquet C., Charbonnier L., Mesnil A., Rainbow P.S., Wang W.-X., Bioaccessibility of Essential and Non-Essential Metals in Commercial Shellfish from Western Europe and Asia, Food and Chemical Toxicology, 46(6):2010-22 (2008). Atta M., El-Sebaie L., Noaman M., Kassab H., The Effect of Cooking on the Content of Heavy Metals in Fish (Tilapia Nilotica), Food Chemistry, 58(1): 1-4 (1997). Cabañero A.me., Madrid Y., Cámara C., Selenium and Mercury Bioaccessibility in Fish Samples: an in Vitro Digestion Method, Analytica Chimica Acta, 526(1):51-61 (2004). Lind Y., Glynn A.W., Engman J., Jorhem L., Bioavailability of Cadmium from Crab Hepatopancreas and Mushroom in Rlation to Inorganic Cadmium: a 9-Week Feeding Study in Mice, Food and Chemical Toxicology, 33(8):667-73 (1995). Kalogeropoulos N., Andrikopoulos N.K., Hassapidou M., Dietary Evaluation of Mediterranean Fish and Molluscs Pan‐Fried in Virgin Olive Oil, Journal of the Science of Food and Agriculture, 84(13):1750-8 (2004). Kalogeropoulos N., Karavoltsos S., Sakellari A., Avramidou S., Dassenakis M., Scoullos M., Heavy Metals in Raw, Fried and Grilled Mediterranean Finfish and Shellfish, Food and Chemical Toxicology, 50(10):3702-8 2012.